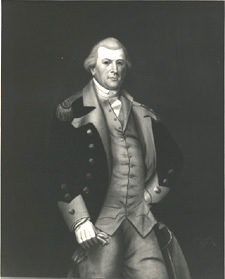 Nathanael Greene was the Revolutionary War general responsible for recapturing the lower South from British control. He is considered by most to be the best strategist of the American Revolution and one of the greatest military minds the United States has ever produced. The Greene Papers Project, which has been in existence since 1971, is publishing the nearly 10,000 letters and orders written by and to Nathanael Greene. To date, there are nine letterpress volumes published by the University of North Carolina Press. When completed, the project will have produced thirteen volumes, most dealing with Greene's military career.